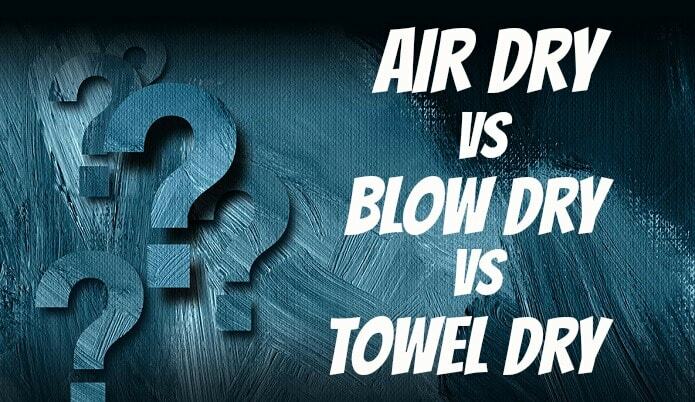 Since you’ve found this article I’m assuming you’re trying to find which way of drying is better for your hair which is why we’re going to go over air drying vs blow drying vs towel drying and the pros and cons of each. In one of my previous articles I did talk about whether or not I think you should dry your hair with a towel but in this post we’ll focus on all of the different methods we can use. What are the benefits of drying your hair with a blow dryer? 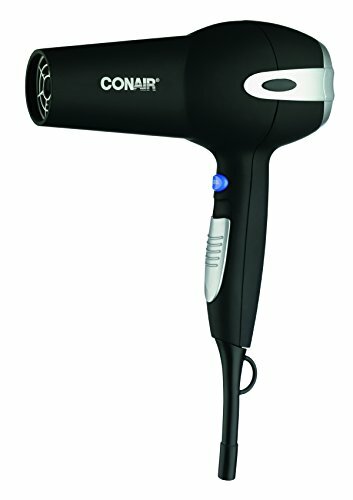 What are the cons of drying your hair with blow dryer? What are the benefits of letting your hair air dry? What are the cons of air drying your hair? What are the benefits of drying your hair with a towel? What are the cons to towel drying your hair? Which hair drying method do I think is best? The faster drying time of course being the most obvious with this especially being more noticeable for people with longer/thicker hair. If you like to do different hair styles then using a dryer can give your hair a push in the direction you want it to go which will help style in in that particular way. The technology that has been added into blow dryers over the years has made them much better than just blowing hot air, most of them leave the hair looking much better than if you were to dry it with other ways. Here is one of the hair dryers I recommend if you do want to use a blow dryer. The chance of damaging your hair is the main issue that comes with it but that’s where those different hair dryers with the fancy technology come into play to help prevent that. Hop out of the shower throw your clothes on and head out, sounds great right? The lessened chance of causing hair damage is the main perk out of everything though. It’s just a slow natural dry. Myself having longer hair and letting my hair air dry sometimes I know it can take around an hour to an hour half. This is the biggest down side because showing up to work with a dam head may not sit well with your employer (my boss is pretty laid back). This runs into the issue with getting sick in the winter, I shouldn’t have to tell you that wet hair + cold weather is basically asking to be sick. There’s nothing easier than rubbing your towel over your head to eliminate most of the water in there. This takes literally seconds to do this which would give this way the perk of being the fastest way to dry your hair. These towels are made with preventing hair damage in mind. If you towel dry your hair in the typical way of rubbing the towel back and forth in a fast motion (with a normal towel) then this is asking for damaged hair. If you do it the way I mentioned in my other article that I mentioned at the top of this post then it would help with reducing the hair damage possibility but in return also reduce the quickness that it takes you to dry your hair. It’s definitely a catch twenty two type of situation. Even though I’m a fan of trying out new hair dryers I still have my preferred method way of drying my hair. It’s basically a combination of towel drying and air drying. After I hop out of the shower I’ll use my hair repear towel (not a regular towel!) and this will get a large portion of the wetness out of my hair. After that I’ll just let it air dry from that point which makes the hair able to dry much quicker since I’ve removed so much water from my hair from the get go. I’d be interested in hearing others thoughts on these methods and which they prefer so just leave a comment below if you have any thoughts.